My Summer 2017 Greeting Card Collection launched a few weeks ago, and I wanted to share with you some of the design processes. 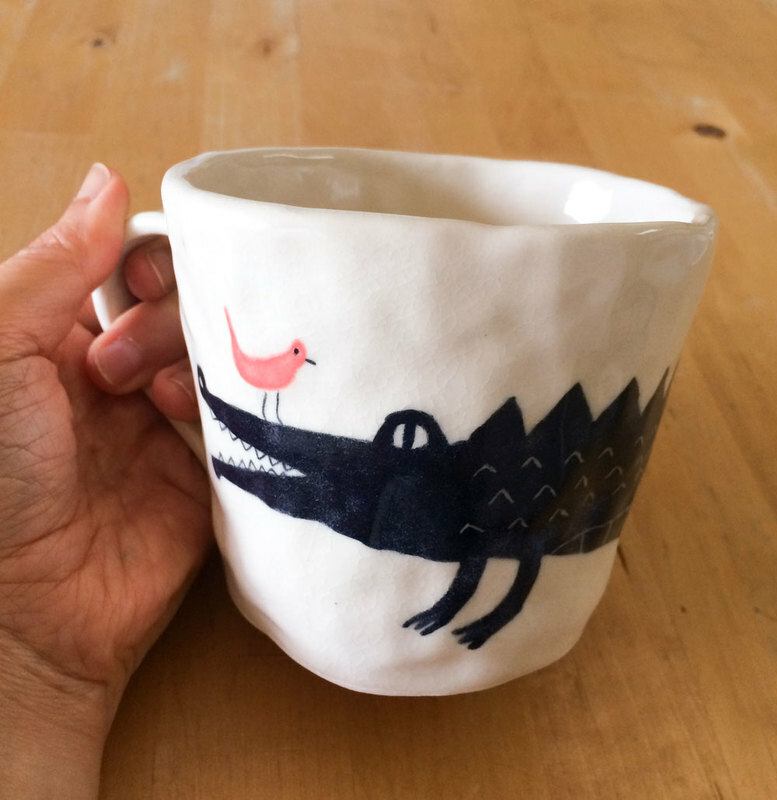 I created this Croc & Bird We Belong Together design originally in my pottery class. I made a mug that turned out really lopsided, so I painted an image that wrapped around the whole mug with underglazes. 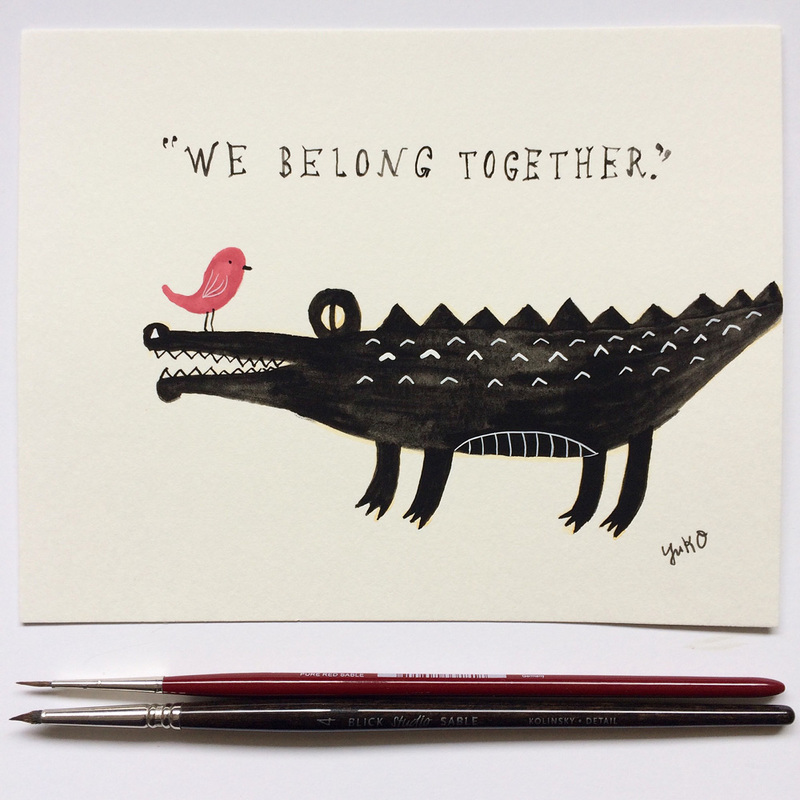 Once I painted the croc and bird image on the mug, I loved it so much that I made a small watercolor painting on paper and added the sweet message “We belong together.” with the brush. 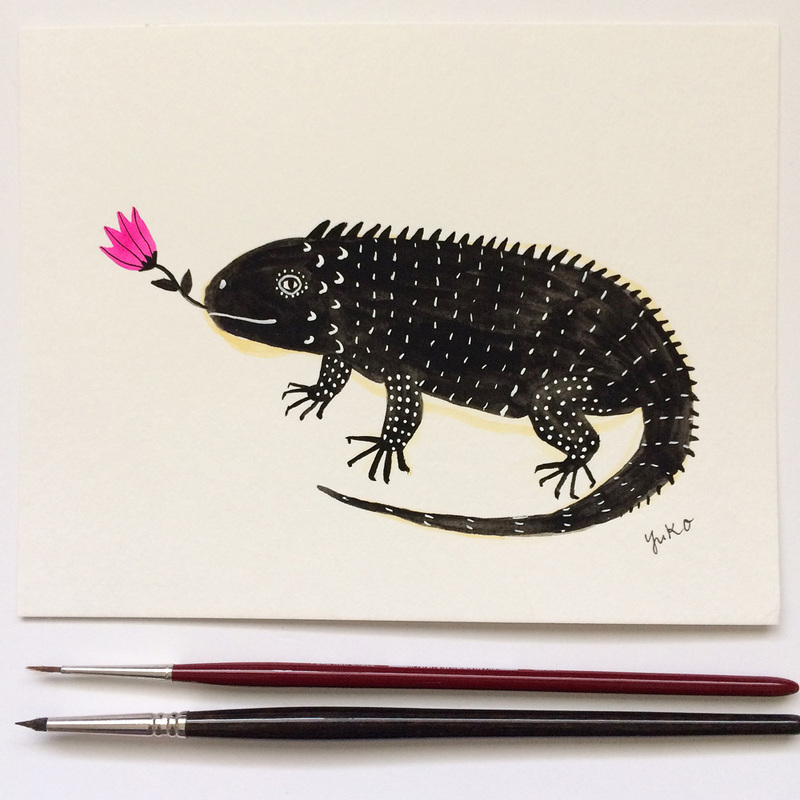 For the greeting card (and also art print!) I decided to go with the much simpler handwriting so the text won’t compete with the clean and simple image of the croc and the bird. It’s a perfect card for a wedding, anniversary, or to send to a good friend you haven’t seen for a while. 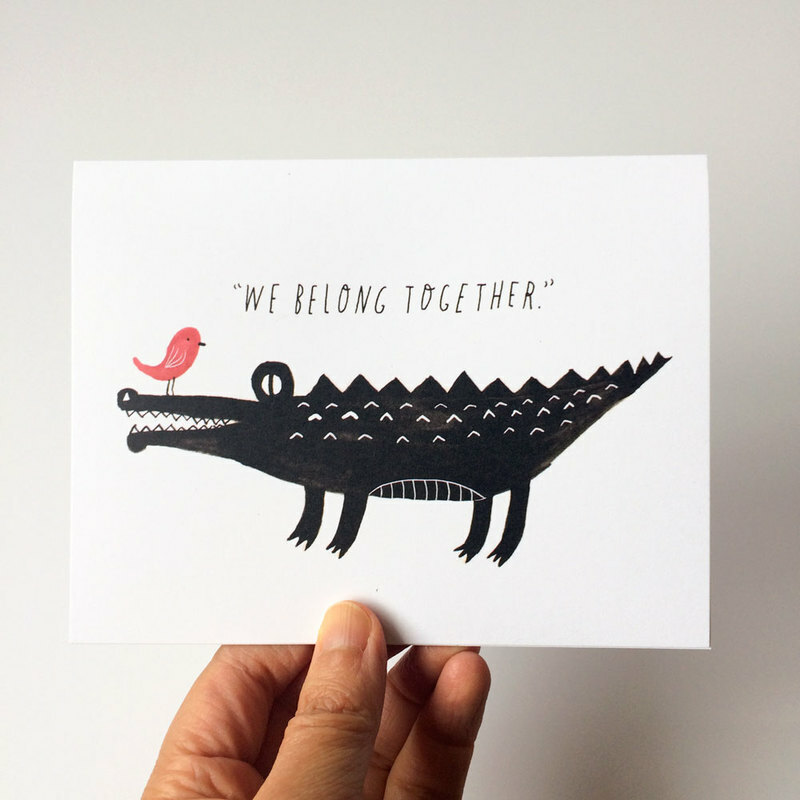 You can get the Croc & Bird greeting card here, and the 8×10 art print here. 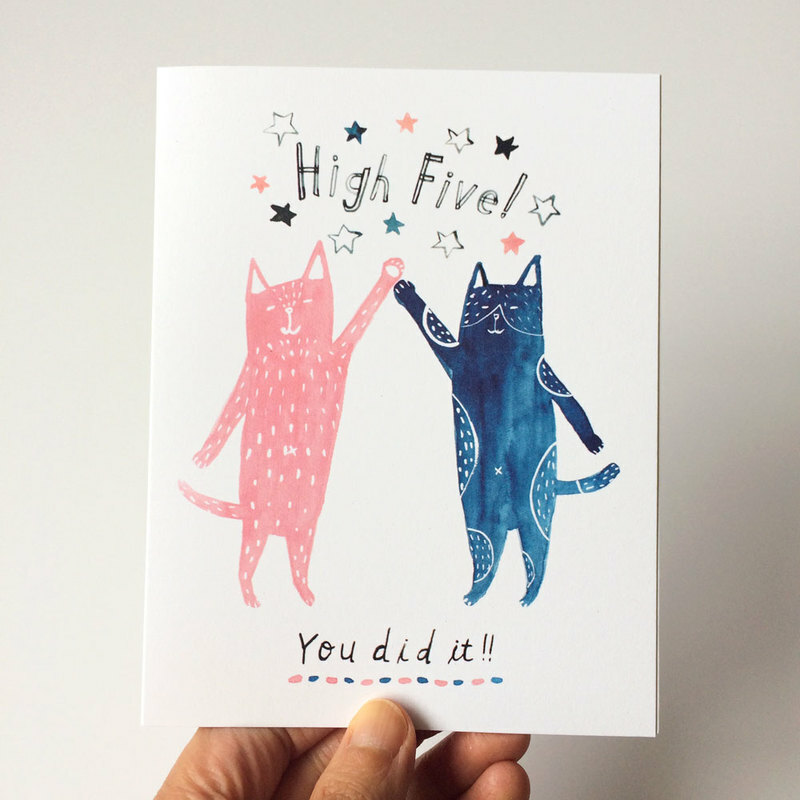 These cats are so excited for your accomplishment and ready to celebrate! 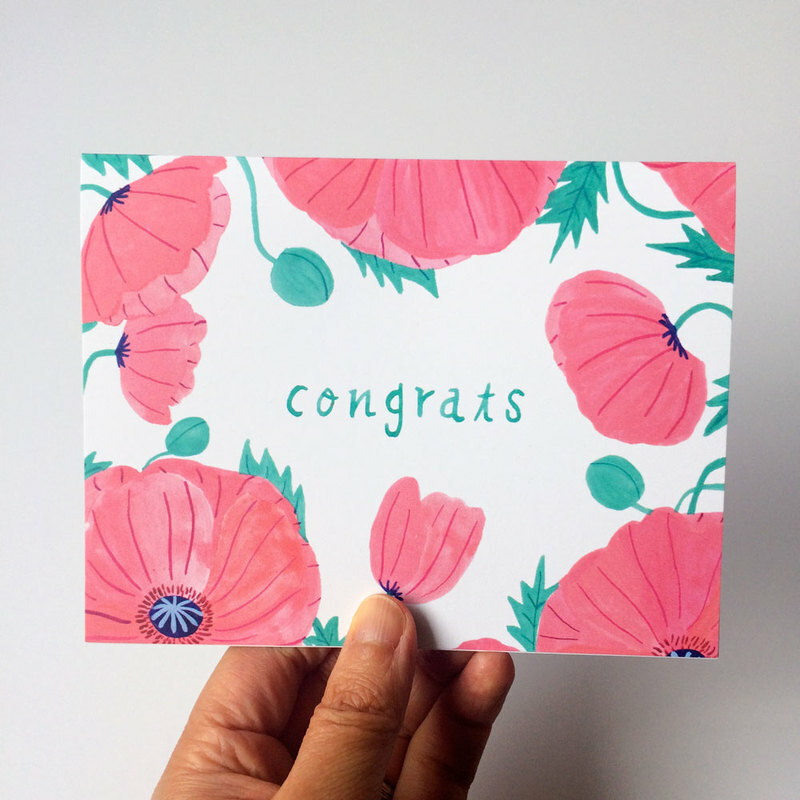 You can send this card to your friend who just got a new job, or anyone who has worked really hard for their goals. 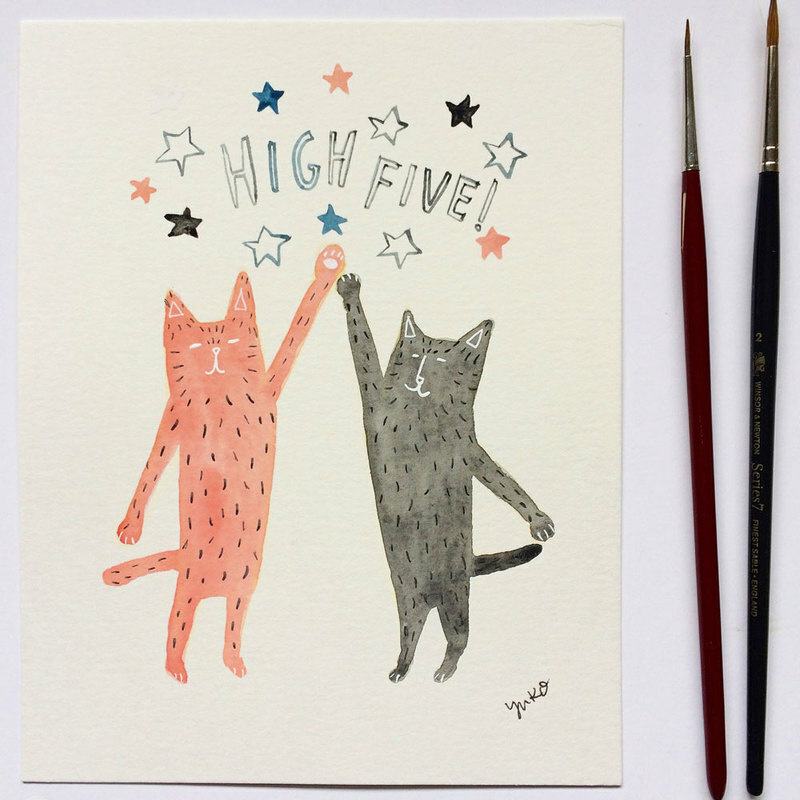 You can order your Cats High Five card here. I saw these lovely reddish orange flowers on the sidewalk during one of my afternoon walks around the neighborhood. They were so brilliant and perfect – I had to stop and snap a picture so I could paint them when I got home. 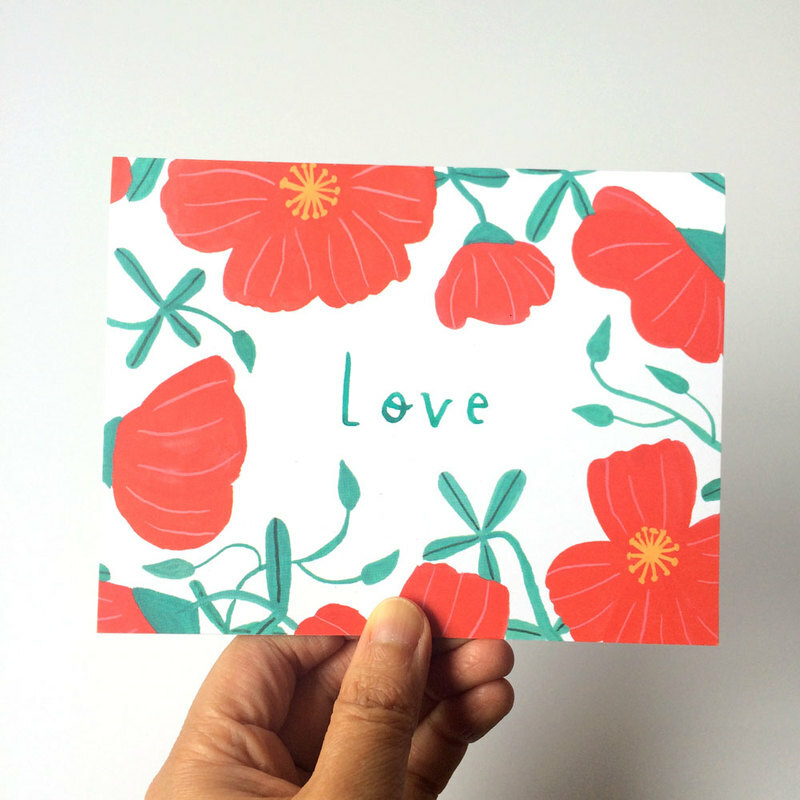 The bright red color screams love and passion to me, so I turned it into a simple love greeting card. 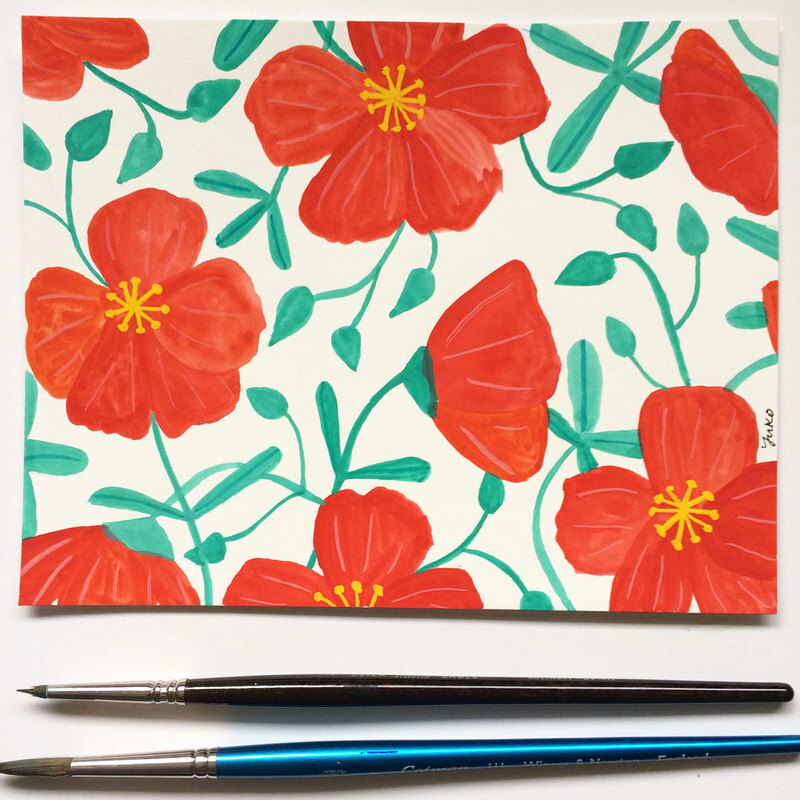 You can shop this Red Flower Love card here. I don’t know about you, but I pretty much love ALL the flowers! I just can’t get enough of them… sigh. 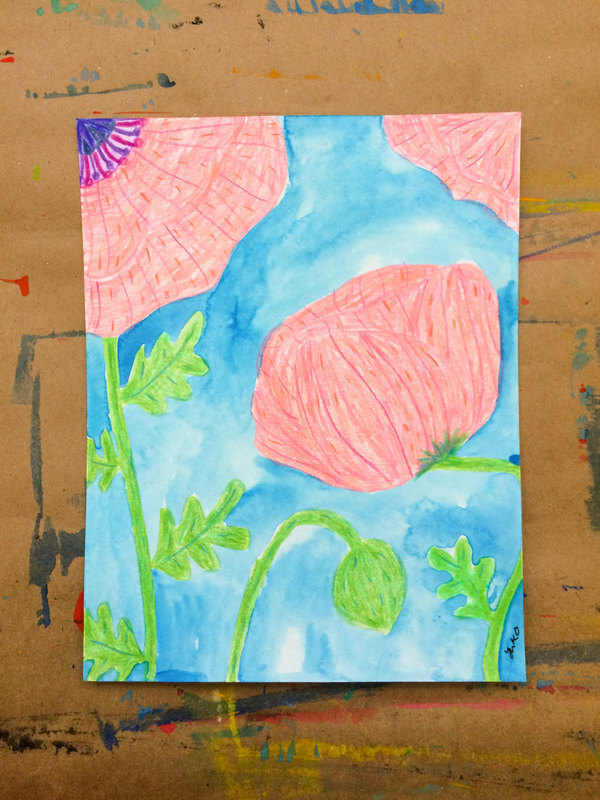 Poppies are one of my favorite flowers. I swear my heart skipped a beat when I noticed these pink oriental poppies in my neighbor’s sidewalk one afternoon. It had the warm and gentle, almost pastel-y pink petals that reminded me of the embroideries on vintage French linens, and a stunning, dark, velvety violet center. I made a couple of paintings inspired by their beauty and created a congratulations card based on my paintings. I can imagine it’ll work perfectly for the summer garden weddings! 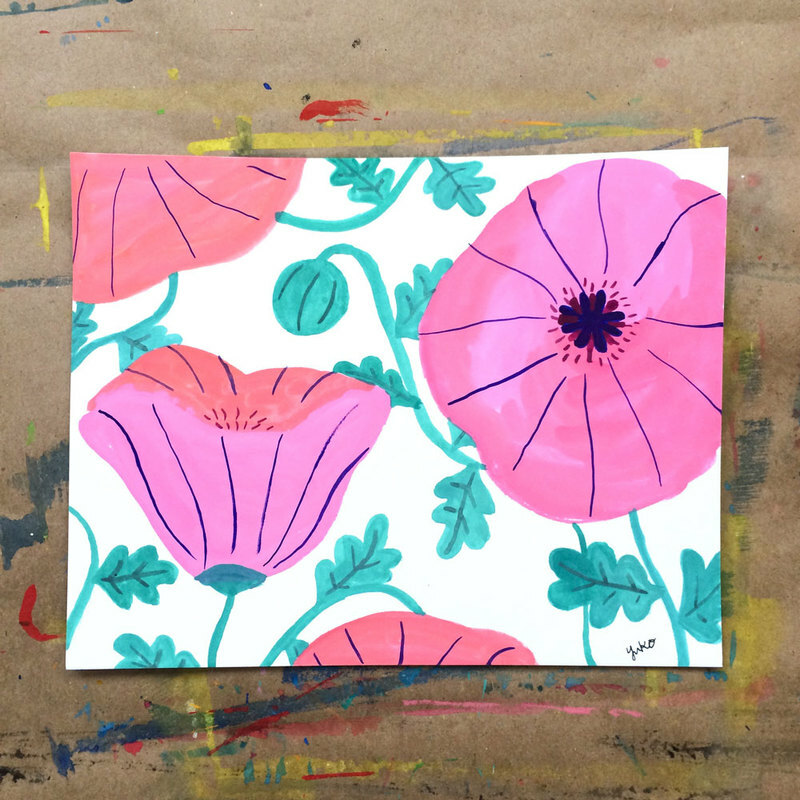 Order your Pink Poppies Wedding Congrats card here. When I said I love poppies, I really meant it. 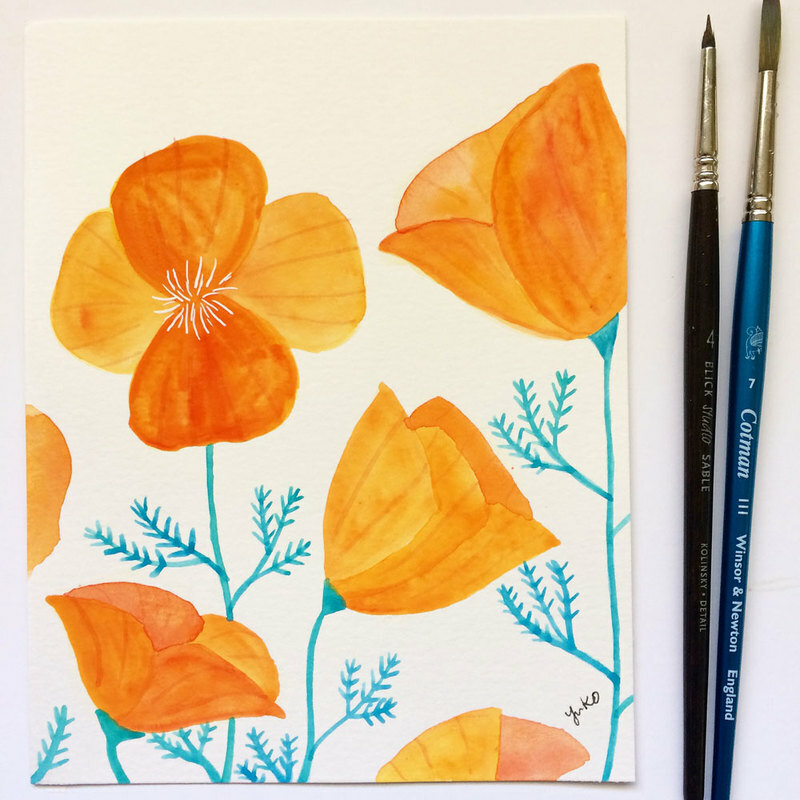 While I love the big, showy oriental poppies, I also love the understated, simple beauty of California Poppies. They pop up around our garden and sidewalk every spring and keep feasting our eyes with the bright orange flowers throughout the summer. If you’ve been thinking about someone you haven’t talked to for a while, instead of texting or emailing, why don’t you send her a handwritten note? 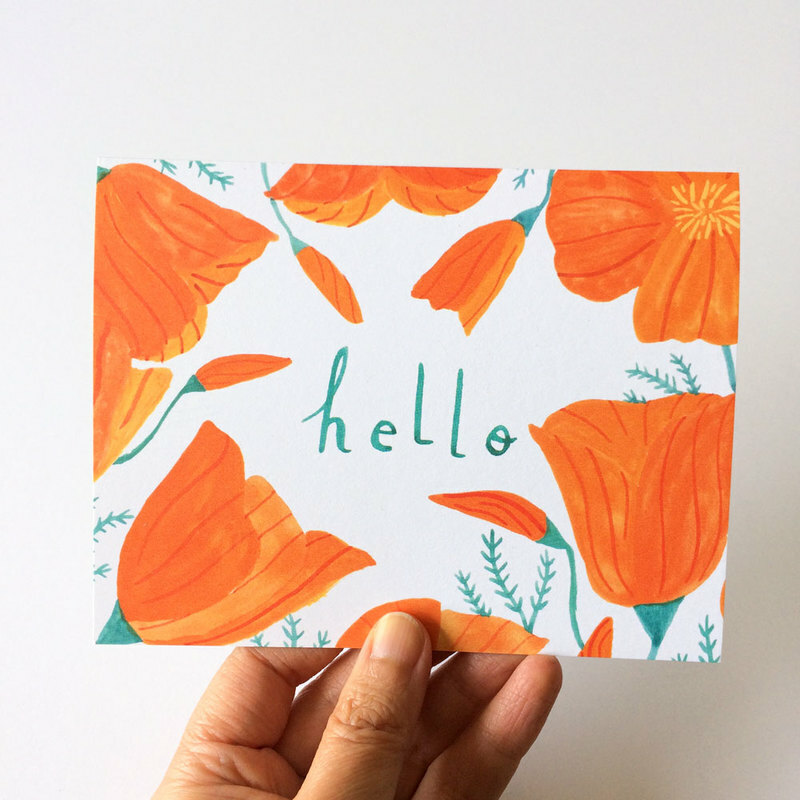 Shop your California Poppy Hello card here. It’s also available as an 8×10 art print here. For the greeting card design, I added a simple handwritten message, “For you.” which will make a great love or friendship card. 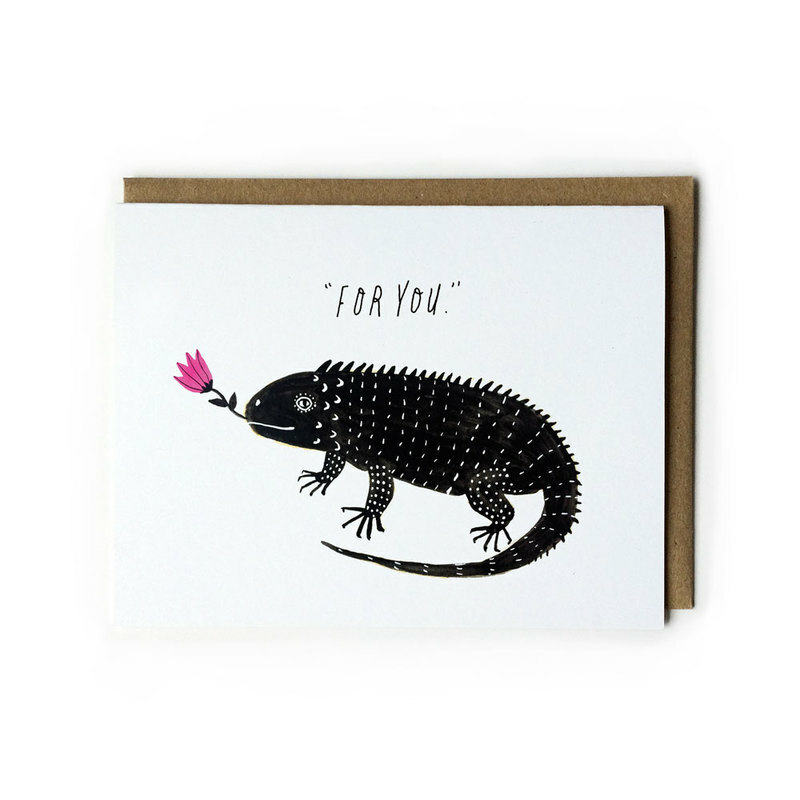 Get your Iguana Flower For You card here. I hope you enjoyed the before & after look of my Summer 2017 Collection! You can see the entire collection and shop online here!